Boost performance of disk subsystems up to 3 times! Misalignment of logical partition sectors and actual physical sectors leads to redundant read/write operations. 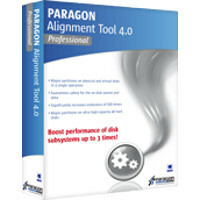 Paragon Alignment Tool 4.0 Professional will help you align partitions on physical and virtual disks according to internal device's geometry without affecting the on-disk data. 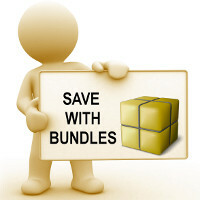 Whether simply saving data or creating complex backup routines, this package of useful tools covers all your needs. The Home Edition quickly backs up your files and folders, operating system or even your entire hard disk to any storage you choose. 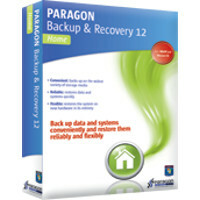 Backup & Recovery 12 Home ensures that your system and valuable data are protected - and can be restored in case of any disaster! For the first time, you can redistribute disk space in Mac in minutes! In the past, to reallocate free space on your Mac, you’d need to back up the Boot Camp partition, delete the partition, recreate an NTFS partition with a new size and, finally, restore the Windows partition backup to the new NTFS partition, a process that could take anywhere between two to five hours. 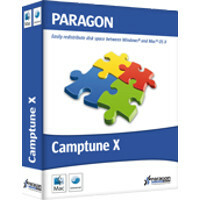 Fortunately, Paragon Software has developed Camptune X, which achieves the same result in a matter of minutes! Camptune X can't resize encrypted partitions, for example, protected with FileVault. You will need to deactivate FileVault before starting Camptune X.
Fusion drive (HDD+SDD) configuration is not supported at the moment. may cause Windows boot problems after resizing partitions with Camptune X.
Mac & the Mac Logo are trademarks of Apple Inc., registered in the U.S. and other countries. Microsoft & the Microsoft Logo are trademarks of Microsoft Corporation., registered in the U.S. and other countries. Deployment Manager is a powerful solution for multicast or individual deployment and re-imaging over LAN or from bootable media. It is great for SMBs as well as large organizations, computer labs, and any type of public-access computers (PAC), such as libraries, Internet Cafés, gaming centers, etc. Deployment Manager is a powerful multicast deployment solution that allows deployment of a master image to 1000’s of systems simultaneously. It includes all facilities for smooth fully automated server-driven mass deployment, client-driven single or mass deployment as well as unattended or manual local deployment. It supports alternative deployment tools, like WDS/BDD/Images and fully integrates with Microsoft Sysprep and Sysinternals. Irreversibly destroy all on-disk data providing maximum level of security. Simply erasing or reformatting your hard disk drive may not be enough to prevent your sensitive data from falling into the wrong hands. 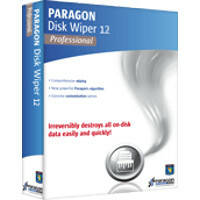 Disk Wiper Professional provides skilled resources and comprehensive wiping tools to ﻿safeguard your personal identity or company trade secrets! Completely erase a whole hard disk, a separate partition or just clean free space. Irreversibly destroy all on-disk data easily and quickly, so it cannot be recovered with any present-day technology. Quickly and efficiently sanitize the hard disks in order to protect valuable business information and also because there is, in the most countries, a legal obligation to do so. Full read and write access to Ext2/3/4 partitions under Mac OS X. Now with full support of OS X 10.7 Lion and 10.8 Mountain Lion! Overcome communication barriers between a Mac OS X and Linux formatted hard drives. Simplify your data sharing and ability to transfer files with Paragon ExtFS for Mac 9.0. 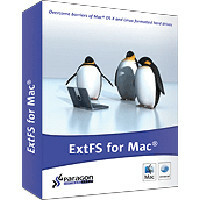 ExtFS for Mac 9.0 is a low-level file system driver which lets you work with Linux files on your Mac OS X without any hassle. With ExtFS for Mac 9.0 you are able to store and create files greater than 4 GB and have full read and write access to Linux-formatted partitions. A unified, cost-effective solution for small business! 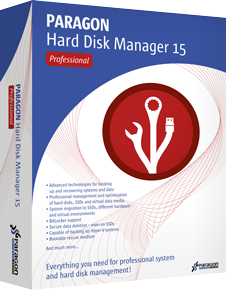 Paragon Hard Disk Manager Business Edition is designed to meet the needs of small businesses, with no or limited IT personnel. It offers server support and flexible Technician Licensing options for professionals managing small groups of co-located servers. 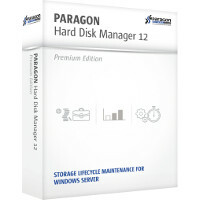 HDM Premium combines all of Paragon's technologies and expertise in storage lifecycle management, data protection and sanitization within stand-alone physical and virtual Windows environments. The high end, all-in-one solution for hard disk management! Unique, all-in-one suite to completely protect, maintain and manage your PC! Paragon HFS for Windows is the only solution that provides full read-write access to HFS /HFSX partitions on any type of disks (GPT, MBR) under most of Windows versions! Access Mac-formatted partitions in Windows systems with the fastest and most stable HFS driver on the market. The easiest OS migration to new Solid State Drives! Ready to upgrade to a new Solid State Drive (SSD)? Paragon’s Migrate OS to SSD is just what you need. Our handy intuitive wizard performs fast and safe Windows migrations to new storage devices (HDD or SSD) and even downsizes to smaller capacity drives, thanks to advanced new data exclusion capabilities. You can transfer a live system with no impact to your work, and have your partitions automatically aligned in the process if needed. 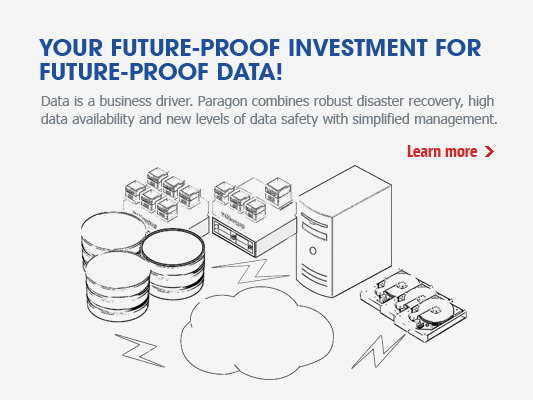 Paragon Protect & Restore’s reliable backup and seamless restore capabilities help eliminate business continuity and compliance risks, while requiring only minimum system resources and IT personnel interaction, due to its distributed infrastructure and easy-to-use management console. Using a hybrid IT-infrastructure with a combination of virtual and physical servers and workstations, you do not have to pay twice for a reliable, flexible and easy to implement disaster recovery strategy. 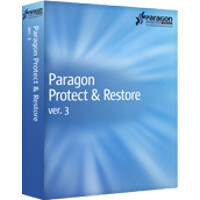 Paragon Protect & Restore supports both worlds and unites them for you in one management environment. From there, you can initiate, plan, control and report all kinds of backup, replication and recovery activities. Paragon Protect & Restore uses a distributed architecture to install its components exactly where they are needed. Short ways between your machines and a backup storage ensure less network traffic. Simultaneous administration from several Protect & Restore Consoles adds flexibility to the management and monitoring of all backup and replication activities. No matter if a physical machine crashes or a vSphere server has a problem. Just restore your virtual machine to a different location, move it to a second ESX datastore or restore your physical machine on a different hardware. You name it - Paragon Protect & Restore can do it. Benefit from the most flexible restore capabilities Paragon ever offered. Replicas of your virtual machines provide the state-of-the-art method of instant disaster recovery. Just boot your replica after a crash of the original machine and restore services on your network faster than ever before. Paragon Protect & Restore creates replicas according to your disaster recovery policies and stores them directly on your ESX. Minimize downtime and maximize your system security. 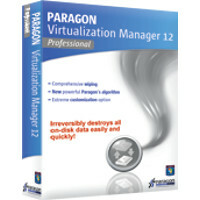 Paragon’s close to 20 years of experience in the area of backup and disaster recovery, as well as imaging and virtualization guarantee a very deep knowledge of how to protect your data and operating systems, be it in a virtual or a physical environment. Archiving to Second-Tier Storage – With Paragon’s approach to second-tier storage, we offer a unique option. We do not load ESX hosts twice when doing dual backup or parallel backup. We do it only once, as archiving is carried out by using already existing backup data only. Paragon GoForSure offers a more flexible and efficient validation of backup and replica policies by checking the availability of all addressed network resources. 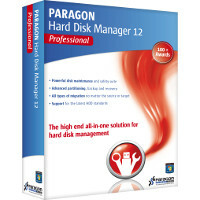 pVHD (Paragon Virtual Hard Drive) format is a special VHD, optimized for storing backups of virtual and physical machines, including compression and encryption. Backups are comparatively smaller, provide a higher file security and can be converted back to the standard VHD if needed. Paragon ITE (Image Transfer Engine) helps out if VMware’s CBT (Changed Block Tracking) does not work properly. By doing so, it can still protect virtual machines agentlessly in case VMware CBT is not available or fails. For Protect & Restore, Paragon offers a very attractive licensing and pricing, including one year of Paragon Extended Support and Upgrade Assurance. A simple way to solve complex tasks!